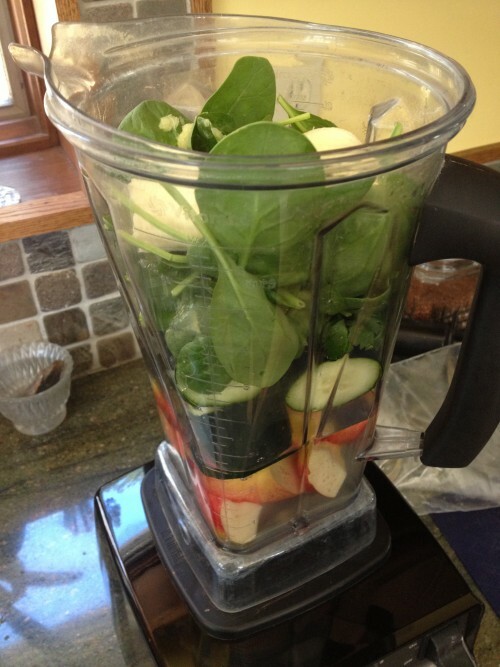 There are so many green drink recipes out there for juice and smoothies. I guess that means everybody is trying to find the perfect combination! Personally, I don’t like my drink to taste like grass. And that’s how they often taste to me! 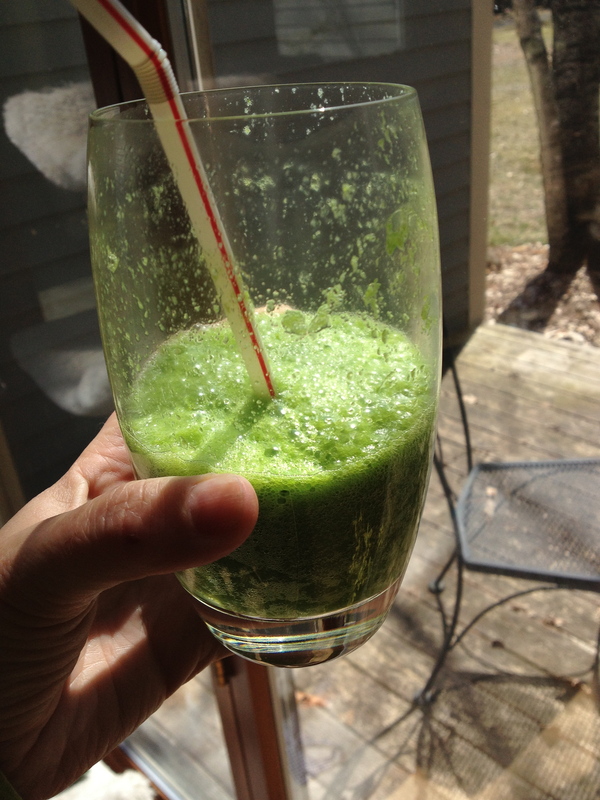 Lately, I’ve been experimenting with creating the perfect Green Drink, or as I like to call it, Salad in a Glass! I already know that I want vegetables in it because I want to cut back on sugar, and while the fruit smoothies are healthy, they contain a lot of sugar. After some experimentation, I have discovered the combination that really does it for me. It’s not grassy at all, and has a little sweetness to it (from the apple and banana). This makes a large amount and if you really are just in the mood for salad – this will fill you up the same way! Whirl this all together in a heavy duty blender (I like my Vitamix!). It may be a little foamy. If you don’t like that, make this ahead and let it sit for an hour or so and gently mix before consuming! Enjoy! You can see I did!